It is a common pet peeve of women to see other girls running and working out with their hair down. And by “down” I mean no hair tie or hairband keeping sweaty strands from bouncing off faces, necks, and shoulders. As someone that always has her hair securely fashioned during all fitness activities and is very distracted by even a loose strand or two, I cannot imagine how women do this. I’ve come across a couple of pictures that combine running in denim with loose hair. Taken at last year’s Race for the Cure in Knoxville, TN. The adorable Bekilynne came through for us once again with this picture from the Susan G. Komen Race for the Cure in Lansing, MI on April 29, 2012. 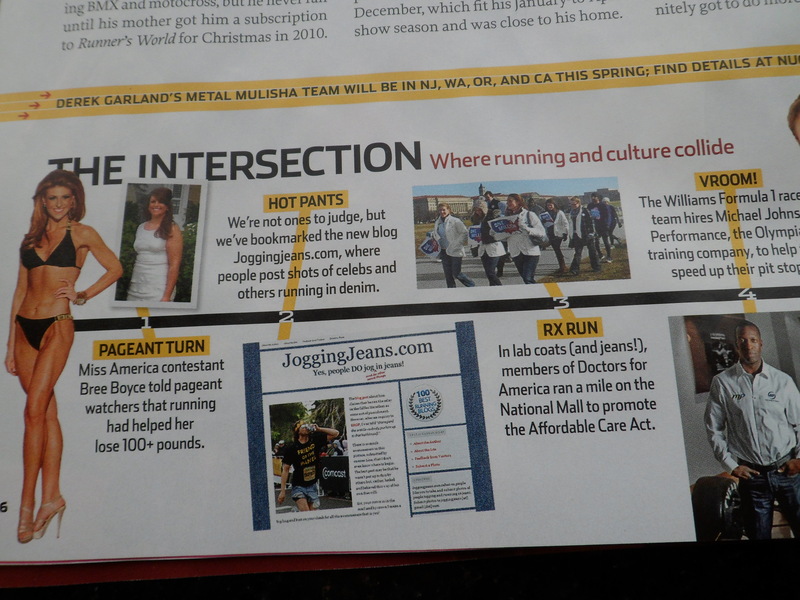 In an attempt to cheer up Suzanne, a loyal fan of this site and author of the very VERY funny running blog Run Fast and Don’t Fall Down, today’s picture features some of her favorite things in the entire world: people running in jeans and women who run with their hair down. Send Suzanne some leg-healing prayers, mojo, and vibes, okay? Then go check out her blog. You’ll thank me. She’s a riot even when she is sad and suffering from some SERIOUS running withdrawal. Thanks, @MattFahr for a Twitter picture that actually is being used for a greater good.